Mesa Arch glows during sunrise, Island in the Sky District of the Canyonlands National Park above Colorado River near Moab in Utah, USA. 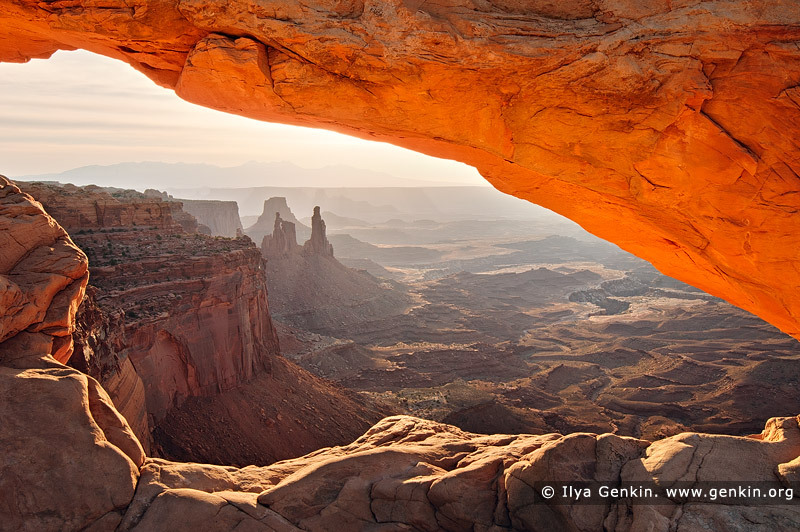 This image id CANYONLANDS-NATIONAL-PARK-UTAH-USA-0001 of Mesa Arch at Sunrise, is copyrighted © by Ilya Genkin. This is not a public domain image.